Dr. Dennis Novak is a reputed pulmonologist in Newport Beach, California. Dr. Novak earned his degree from Cornell University and State University of New York. 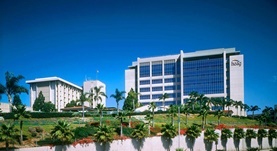 The residency and fellowship are competed in Irvine Medical Center, in pulmonary disease. Dr. Novak is affiliated with Hoag Memorial Hospital Presbyterian from Newport Beach. He is certified by American Board of Internal Medicine, in pulmonary disease in 1980 and internal medicine in 1977. Dr. Novak is a member of the American College of Physicians.